I’m a huge collector of Metallica guitar picks. I have always love the fact that they have almost treated the guitar pick as a piece of art. 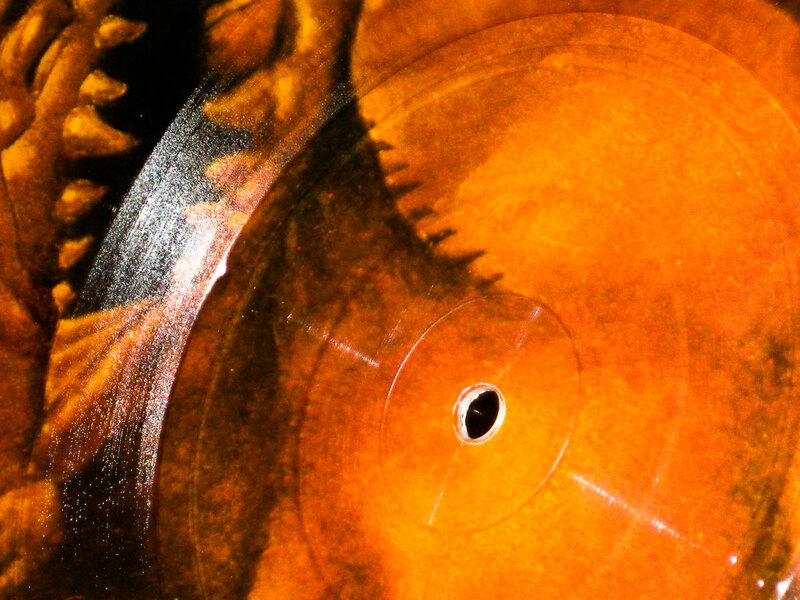 Whether it was the Black Album Snake back in the day… or the Master of Puppets 20th Anniversary art… or even the Pushead Yin-Yang artwork, Metallica’s picks have always stood above every other band out there. This set is from the events surrounding The Big 4 concerts as well as the release of The Big 4 DVD. The front of the pick features THE BIG 4 written out by Hetfield. The back of the pick features all four bands logos… the ninja star, the eagle, Vic, and the Thraxagram. 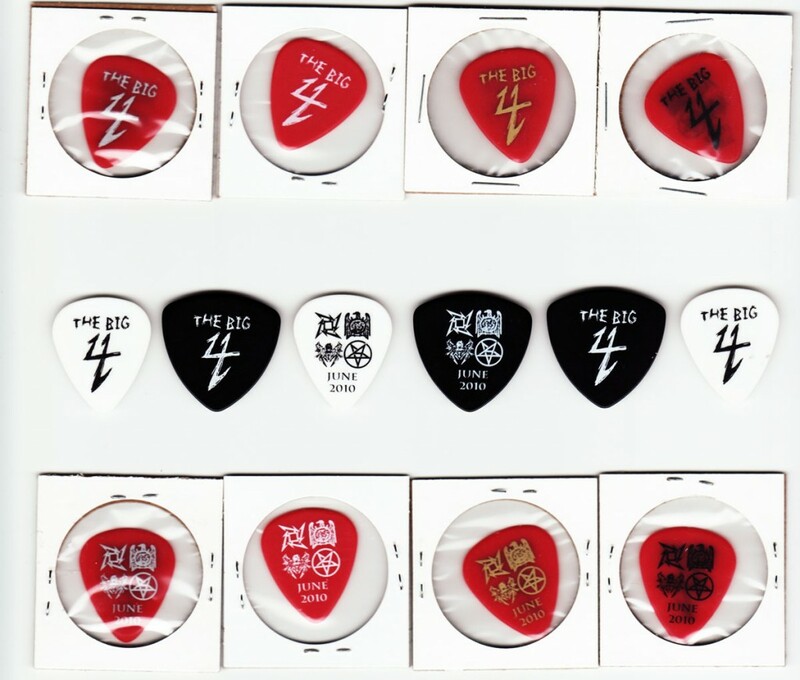 The White Guitar Picks and Black Bass Picks come from last summer’s Big 4 tour in Europe. 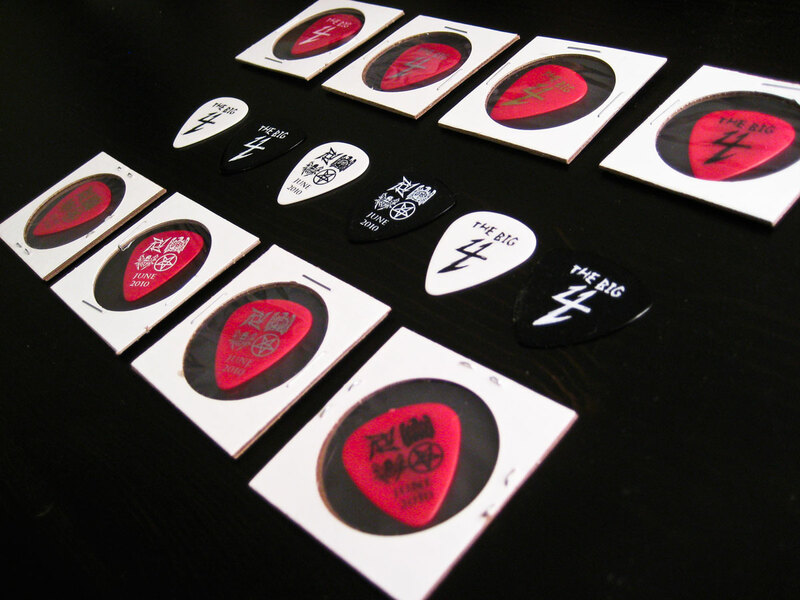 I should be hesitant to call the black picks bass picks because, I believe, they are the kind of guitar pick that Slayer uses. Anything smaller would shred. The Red Guitar Picks were part of a promotion that Metallica.com ran with the sale of The Big 4 DVD, Blu-Ray, and Box Set. Each order got one red pick featuring one of four different print colors. 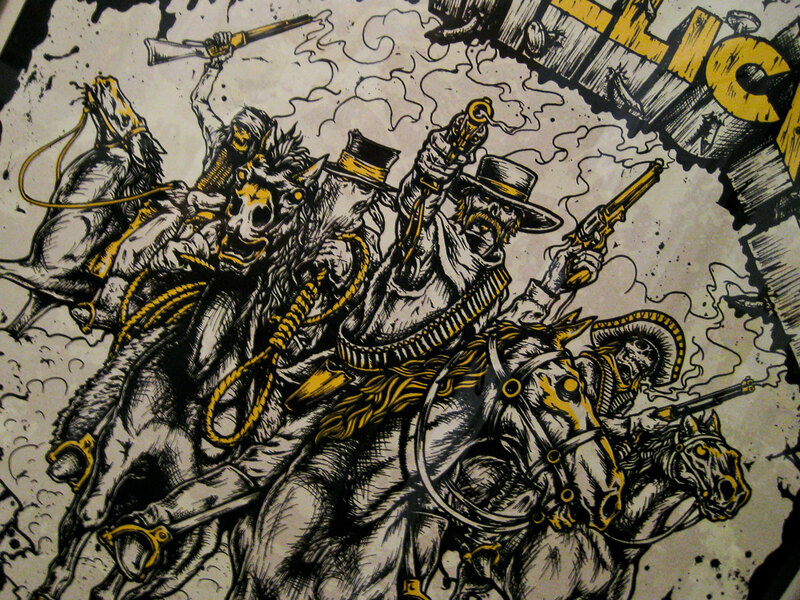 The different print colors, as you can see, are White, Silver, Gold, and Black. Now I have to sit back and hope that we get a chance to see this tour stateside… I must be patient. how do you get these picks? how can i get one?